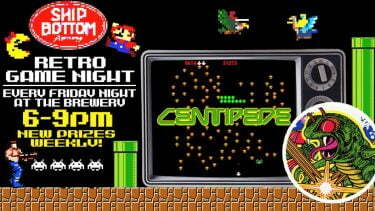 Every Friday Night we will host a Retro Game Night. Every week we will have a different game and prize available for the winner. Games kick off at 6 PM. Stop by for a pint and bring your gamer skills for a chance to win!